Hydro Treat Technology offering Membrane Housing to our clients. 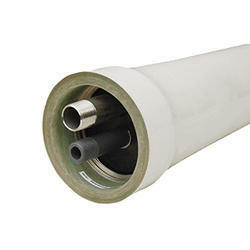 We offer these membrane housings in various sizes, lengths, dimensions and operating pressure ratings. Our range of membrane housings are easily compatible with any type of water treatment and RO systems. It is the world’s leading brand of membrane housings built to maximize the performance of your water purification systems. Looking for Membrane Housing ?